There is only a handful who’d go out of their way to help the disadvantaged and those in need of support. 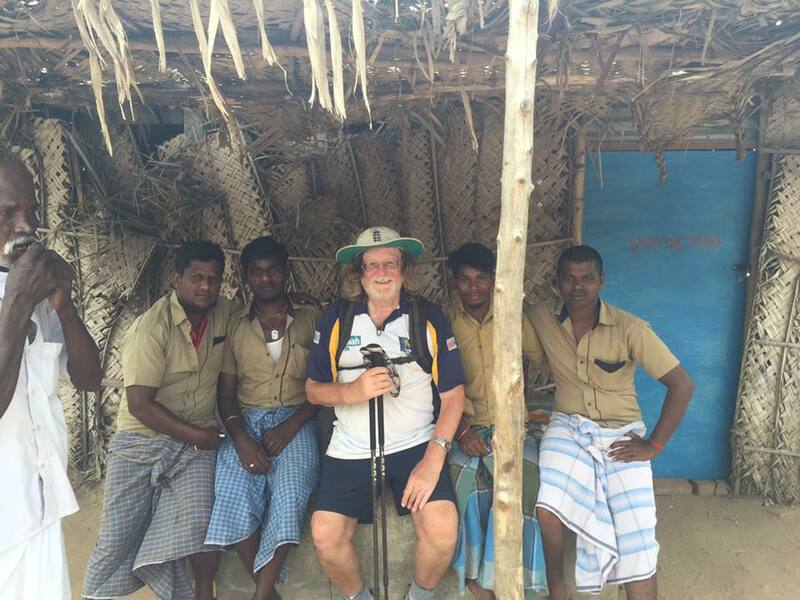 Among those few is a 63-year-old Brit, Patrick Baddeley, who walked for over 2,500 kilometres (1,553 miles) through India’s east coast, just to raise money for charity. Baddeley set out on for an arduous journey on October 3, 2016, and crossed Tamil Nadu, Andhra Pradesh, Odisha, Kolkata, walking six hours every single day. His tryst with India goes way back to 1970’s and he always wanted to embark on a road trip in the memory of his late daughter Katie. And so he named his journey as K-Walk. He chose Future Hope as the beneficiary of the funds collected, as he was impressed with the way the NGO provide the street children with an “atmosphere of love and security”. On his fundraising page, he says that the NGO is home to 120 vulnerable children, most of whom have been forced to live on the streets of Kolkata, it also runs a school for its own children and for children from the local slums. Baddeley chronicled his five-month-long journey through the east coast on A Facebook page called K-Walk. As for his diet through the journey he says, “I relied on the local food, eating from roadside eateries. 5 College Students Killed in accident near Nagercoil colachel : மீனவர்கள் வலையில் 300 கிலோ எடைகொண்ட சுறா மீன்!